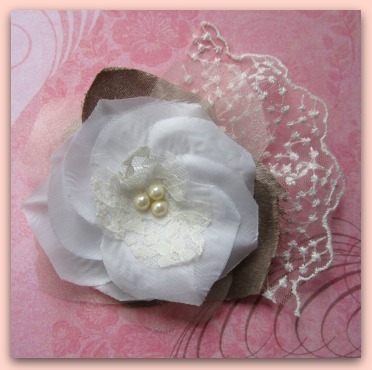 Handcrafted flower hair accessories look beautiful against tousled curls and elegant updo's. Discover your inner pin up girl with a selection of veiled flowers and delicate chiffon petals. Perfect for weddings, dates, and summer outings lounging on a boat, these vintage flower hair clips complete your look and draw attention to all the right places. Makeup Tips Magazine's handcrafted decadent flower accessories are exclusive to this site. You won't find them anywhere else in stores or on the internet. We believe that every woman should feel beautiful and unique, and as such we put the highest effort into creating quality hair clips that are unmatched by any others. 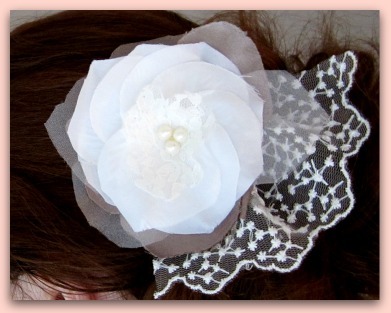 Upon ordering, your vintage flower hair clip will be mailed out to you within two business days. We also offer a 100% refund guarantee of the full purchase price if you are not satisfied with your item. Buyer will pay return shipping.